Here you can relax in a quiet environment but still have access to the main attractions of this Area, The Pyramids and the Sphinx are literally on your doorstep. A short distance you can visit the Step Pyramid at Sakarra & Memphis. There are many places to visit in Cairo itself, i.e. the Famous Museum, see the The Pharonic Village (like going back in time), The Citadel (home to Egypt Rulers for some 700 years), visit the Mohammed Ali Mosque, this is a work of art and took 18 years to build. Don't miss a visit to the famous 14th century Khan el Kalili Market. Take an evening cruise down the River Nile and enjoy the entertainment and music. Can pre arange trips, tour guides drivers what ever you may need can give you contact numbers and email for you to get prices and bookings. Here you can relax in a quiet environment but still have access to the main attractions of this Area, The Pyramids and the Sphinx are literally on your doorstep. A short distance you can visit the Step Pyramid at Sakarra & Memphis. There are many places to visit in Cairo itself, i.e. the Famous Museum, see the The Pharonic Village (like going back in time), The Citadel (home to Egypt Rulers for some 700 years), visit the Mohammed Ali Mosque, this is a work of art and took 18 years to build. Don't miss a visit to the famous 14th century Khan el Kalili Market. Take an evening cruise down the River Nile and enjoy the entertainment and music. Egyptian Family Members that will meet you and take care of any needs you may have Can pre arange trips, tour guides drivers what ever you may need can give you contact numbers and email for you to get prices and bookings. Super long weekend in Cairo! Beautiful and spacious apartment with a very warm welcome from our hosts; we arrived late in the evening and departed early, yet they were there to help us (even walking us to the local supermarket). Our children were delighted when we arrived and the pyramid was illuminated; each morning and every time we arrived back at the apartment they wanted to go and look at the pyramid again! We thoroughly enjoyed our stay in your apartment and our time in Cairo. A comfortable, spacious, safe home away from home for our group of ten ... and so much more! The apartment itself was spacious, comfortable, with a well-equipped full kitchen and two full size baths. And a view of the Giza Pyramid. The neighborhood looked (and truly is) chaotic, but proved safe at all hours and was convenient to shopping and restaurants. The owner's sister lives very close and was available to quickly step into action when we faced the usual local problems; internet breakdowns and loss of water pressure. These are unavoidable issues in one of the world's largest and most chaotic cities, and we were fortunate to have a host who knew who to call to get problems solved in hours, not days. When we had an emergency with misplaced passports on a trip to the red sea, the hosts went into the unit at our request, found the passports and had them messengered to us. In short, this apartment comes with a complete travel support system. 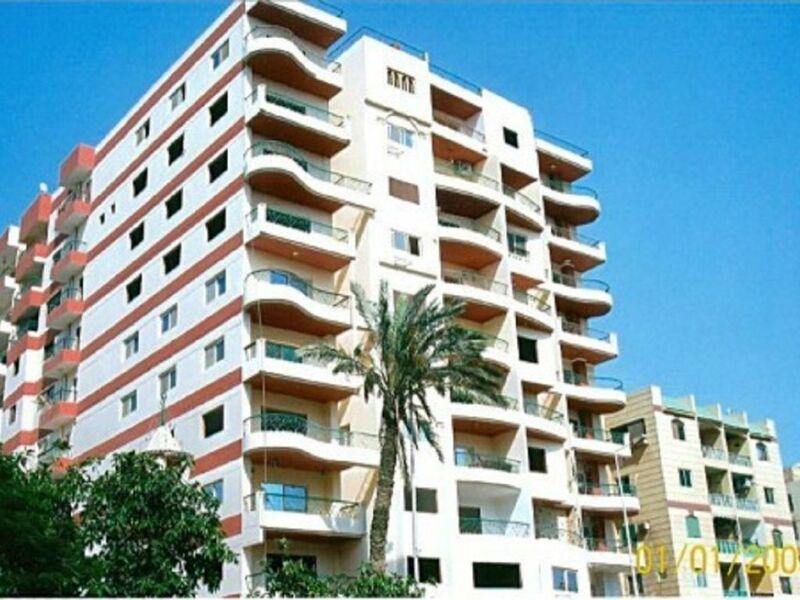 The property is on the nineth floor of an apartment building in the neighbourhood of Giza in Cairo. You can admire the pyramids from the balcony of the apartment. The place is very big: it has three large bedrooms a huge living room, kitchen and two bathrooms. The place is very good and surely worth the money asked by the owners. The owners were very welcoming and always prompt to answer any question on the apartment prior of leaving for my trip. Egypt on 10... by 10!! OMG, what an AMAZING experience... made all the better by our fantastic Cairo/Giza digs and FABULOUS hosts!! For 10 adults (2 sets of older parents and 6 adult "kids") we could NOT have had a better place to stay OR better hospitality. The apartment is BEAUTIFUL - just as the pics and video show - and with ALL of the amenities, including a washer/dryer (which was MUCH used!). But more than the apartment, our hosts were like family, literally. One stayed with us ALL day at the US Embassy (!!!!) and then went with us to the police station (!!!) and another helped us "navigate" the Egyptian Immigration Department (!!!!!!... !!!!!!!!!!!!!) after one daughter lost her passport! We also had a former Egyptian antiquities professor as our personal guide to the pyramids, Sakara tombs and temple, the Cairo and Memphis museums, the Citadel, and more! Wanna see Cairo/Giza on 10? You will not find better service or a better place to stay in Cairo/Giza! This was the nicest and most beautiful place I stayed in better than the fanciest hotel you can find. The apartment was very well maintained, modern furnished with a great taste in decoration. It was a nice quiet place with a great view of the city right from the balcony. It is very roomy with a relaxing atmosphere.The price was very reasonable and all the amenities were available.It is walking distance to many attractions and central to everything. The owners as well as contacts were not only the nicest but always very concerned that all was okey and were readily available to meet all needs. I recommend this place very very highly and I will definitely rent here again in the near future! From the moment I booked the apartment, Vern was a brilliant asset to making our trip to Cairo amazing. He texted all the major sights and gave great advice on the city. He hooked us up with a local tour guide - Ashraf who arranged full transportation during our stay and airport pick-up. Ashraf became like a family member and looked after us and our children as he would his own, including arranging ALL our sight-seeing and camel rides for the family where he personally held their reigns to ensure safety. He was way more family then a tour guide or even a friend! His dad (Musa) is a Professor of Egyptology and was our guide. We learnt a tremendous amount from him and almost all other guides and museum employees we came across hugged him as most of them were his students! The apartment itself is much much bigger then it looks in the photos. It was spotlessly clean and well maintained. Cairo was pretty cold when we were there and the heating was very fast and efficient. The location is great. I was considering staying in a 5 star in New Cairo but am so happy we spent half the money and had twice the fun in this apartment. The kids had a lot of room to run and stretch. There is a grocery store about 5 minutes walk which has everything you will need for your stay. If you ask Vern to connect you with Ashraf, you will have pretty much everything you need. I will definitely come back to Cairo as it is such an amazing city and will only stay at this apartment when I come. Thanks Vern!